Please introduce yourself! Where are you from? Where did you go to undergraduate? What did you study? How far along/When did you start at AOMA? My name is Katie Shea and I grew up in Chicago. I went to Michigan State University (Go Spartans!) for undergrad and received a bachelor’s degree in nursing. I began attending the master’s program at AOMA Fall of 2017. Before coming to AOMA, I was practicing as a registered nurse. I spent over a year in the emergency room immediately after graduating from college then transferred departments to work in a cardiac electrophysiology lab. I am continuing to practice as a nurse and work with cardiac patients while attending AOMA. 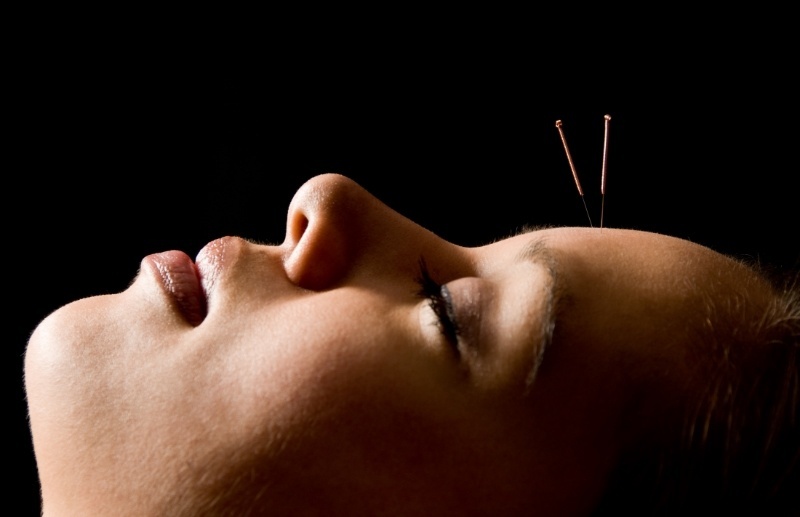 What was your first introduction to acupuncture and what was your impression? 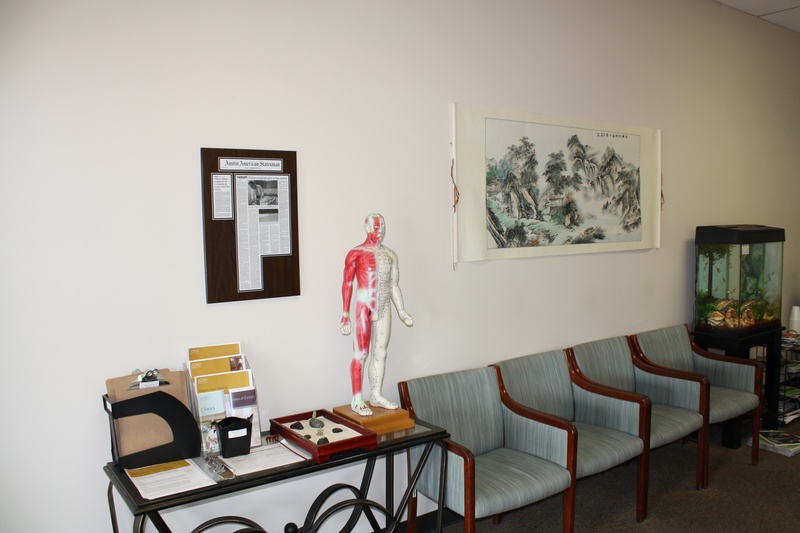 My first introduction to acupuncture was at AOMA with Dr. Luo. I have always been interested in alternative therapies and was curious about TCM. I learned right away how effective acupuncture and herbs could be, as it quickly alleviated multiple vague symptoms I was experiencing at the time. Eventually, I began having regular treatments for both chronic and acute issues (I was training for a marathon at the time) and felt a deep connection to the subtle yet powerful nature of this medicine. When did you become interested in studying Chinese medicine and why? What made you choose AOMA as your school and/or shift your career focus to come to AOMA? Many factors were involved in my decision to embark on this journey into Chinese medicine. As a nurse, I understand the importance of providing safe and effective care to patients. I was also becoming familiar that one medical paradigm is not sufficient to solve all of the health concerns that face our modern world. As a yoga instructor and practitioner, I am also aware that there is much more to health than simply not getting sick; it is about learning how to listen to your body and act in a way that promotes balance. To me, that is the exact nature of Chinese medicine - to correct the small imbalances and promote harmony in the body in a nuanced yet long-lasting and sustainable way. My favorite class at AOMA so far is Foundations with Dr. Wu. I could take this class over and over (which I did) and continue to learn so much from a professor that has an abundance of knowledge yet presents the material in a very simple way. My favorite aspect of AOMA is that everyone is so open, generous with their own personal challenges and health journeys, and unsparing with their energy and attention. I frequently find myself in an insightful conversation with a group of intelligent people that have very diverse backgrounds. I have also noticed the willingness of AOMA students to help one another in a time of need. On multiple occasions, I have been truly touched by the acts of kindness or simple gestures to help and support a fellow colleague. I feel very lucky to be involved in this community. 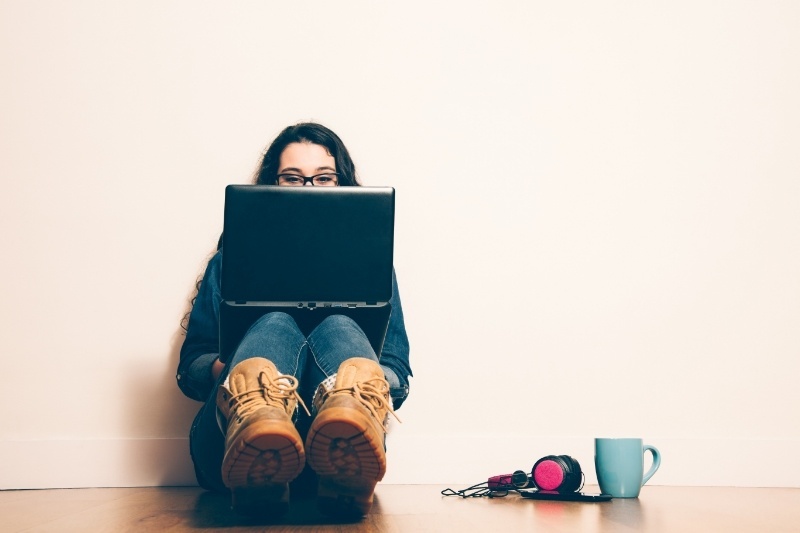 Have you started treating as a student intern yet? If so, please describe a unique experience or something that surprised you. 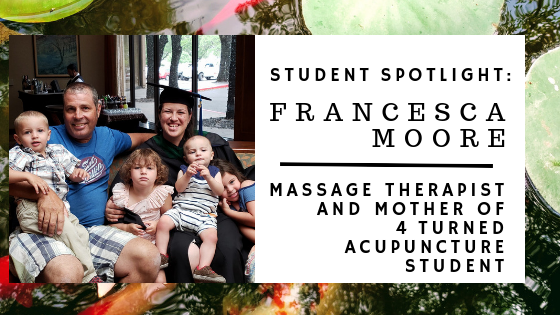 I have not yet started to treat as an intern but there have been many unique moments that have surprised me, particularly in the acupuncture clinic at the Kerrville Folk Festival. It was incredible to see the amount of patients that AOMA students were able to serve, free of charge, in a modest, four-bed clinic. The complaints ranged from joint pain from worn-out musicians and heat-related issues from camping outside in Texas in June to deep emotional pain from years of trauma. Each patient displayed openness and gratitude and showed a willingness to contribute to their own healing by taking what the practitioner said seriously; this was something I did not expect in such a casual setting. For the most part, my perceptions of Chinese medicine have been consistent with my expectations entering the program. As I learn more, however, I realize that TCM and conventional medicine have more in common than many people realize. The two disciplines are simply describing the same body using a different language (both literally and figuratively) and coming to very similar conclusions. My hope for the future of healthcare is that we continue in a direction toward a multidisciplinary approach to patient care. It is no coincidence that one system picks up where the other leaves off; it is because both are necessary if the healthcare team intends to both treat illness while also maintaining positive health. Following graduation, I would like to travel and volunteer my time and skills while acquiring the experience necessary to start my own practice. Eventually, my goal is to combine both eastern and western modalities in order to provide patients with well-rounded care. This will ideally include a multidisciplinary practice that utilizes many different approaches to healthcare in a way that not only treats illness but also supports optimal functioning. 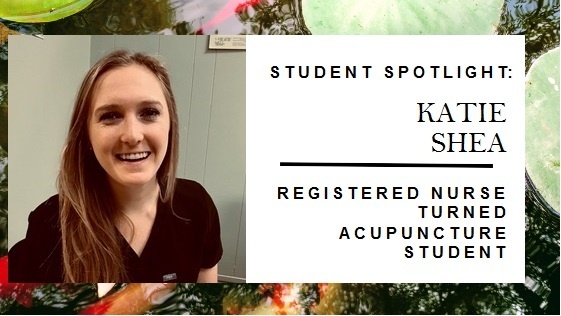 As an acupuncture student, finding reliable and inexpensive clinic tools can be tricky. 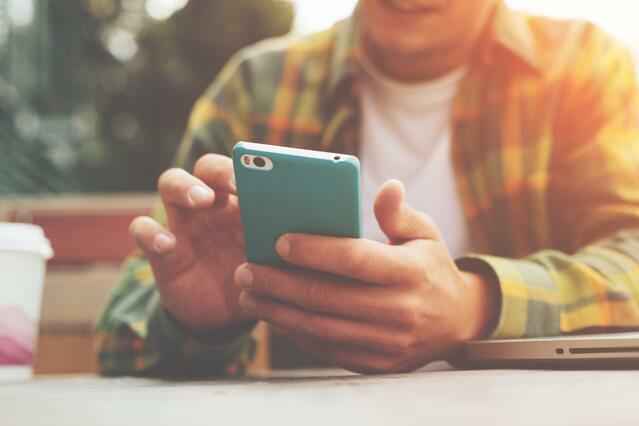 That’s why we’ve picked a few apps and laid out their pros and cons for you! First choice app would be A Manual of Acupuncture, from The Journal of Chinese Medicine ($35.99). The pros being that the app is just like the book with descriptive locations of points and detailed photos that are easy to follow. One of the other great aspects is the videos that show how to locate points as well on human models. 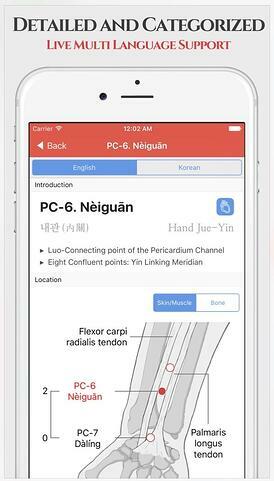 This app is extremely user friendly and is a great aid in the clinic or classroom. Includes sections with point categories such as luo connecting points and six command points for easy reference. The only con about this app is that it is a little pricey for an app, although much less expensive than the book ($100-$150). Runner up app is TCM Clinic Aid from Cyber and Sons ($14.99). This one may just be the best bang for your buck, because it not only has point locations but it also includes Chinese herbs. 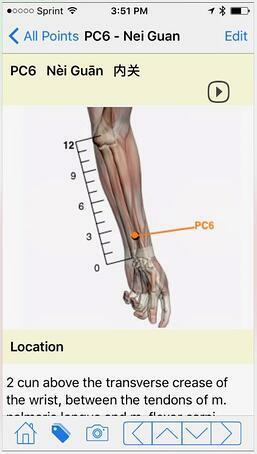 Included in the app is point descriptions as well as images for each point. For the herbal portion it has categories for all 487 single herbs, and categories for herbal formulas. 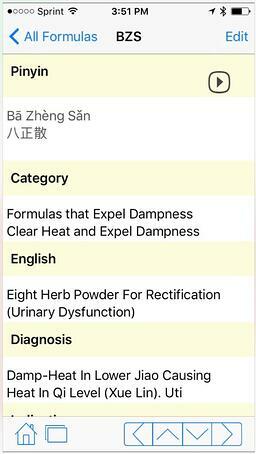 A bonus feature is would be that the app has in app purchases which allows you to quiz yourself on both herbs and point locations, master tung point locations, as well as detailed disease diagnosis categories including pulse diagnosis and six stages. Cons are that the picture quality could be better. Acu Pro is the next app on our list, ($14.99). 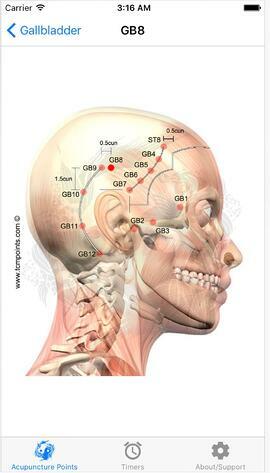 The pros are that it’s a good general reference for all the acupuncture points, has point categories and short descriptions for locating points. Con’s are that there aren’t videos for finding points and the photos are not super detailed. In comparison with TCM Clinic Aid, it lacks herbal information and costs the same. Acu Points would be the next app ($9.99). If you’re looking to spend less than $15 on an app this would be your best bet. Pros for this app are that it shows points in relation to each other along meridians, has a search area for general issues such as headaches and includes a categories search section (ex: shu points). Overall the pictures used for point locations are not the best quality, and if just learning point locations might not be the best reference. This app is also not as user friendly as all the others and can be a bit trickier trying to navigate. 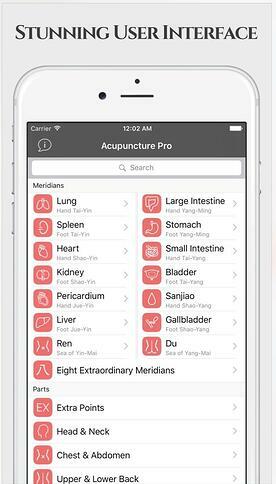 Our last and least expensive app is Acupuncture Assistant, costing $6.99. This app is great for just points. 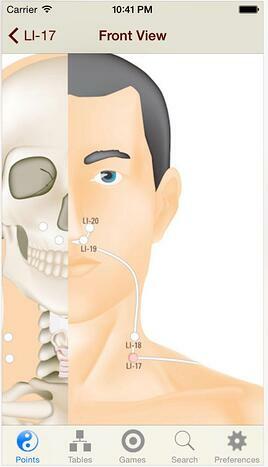 Pros include good pictures of acupuncture points, shows points along channels relative to other points and a description for locating points. 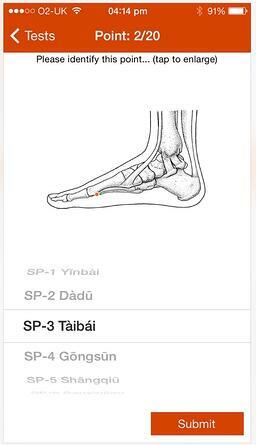 App has other general information on meridians, actions and indications for points, as well as search feature for points in relation to diagnostic patterns. Bonus features are that you can add notes to points and save them to the app, as well as the patient timer. Price is very reasonable for what you get. Cons are that photo details could be better, no video feature, no herbs, and isn’t the most user friendly. If you’re looking for something inexpensive as a reference, this is the app for you. It is not without mixed feelings that I call upon the Board of Governors to begin a search for a new president. As I gaze upon the final 1/3 of my life, it has become necessary for me to release a portion of my work which has been a primary focus for the last ten years – the role as president of AOMA. It is now time to refine and cultivate the teachings with which I have been gifted by family lineages and literate traditions. Good leadership requires a timely and healthy transfer of roles and responsibilities. The transition to a new president will take place according to these values. At this crossroad, I would like to take the opportunity to send gratitude and blessings to this community. I could not have had the success that has taken place over the last ten years without a team composed of remarkable grit and commitment. Especially, thank you to: Linda Fontaine, Jamie Wu, Anne Province, Lesley Hamilton, John Finnell, Donna Hurta and Cara Edmond. The AOMA board of governors has provided extraordinary wisdom and insight in guiding the mission of the institution; thank you for your commitment. AOMA has the finest faculty in the field and I am privileged to work at their side. AOMA students generate an extraordinary community whereby learning is extended through their passion for the work and each other. I would like to recognize especially those learners I have worked with in the clinic; that is the highlight of my week. The staff at AOMA is nothing less than amazing, pursuing institutional goals with enthusiasm and tenacity, thank you. 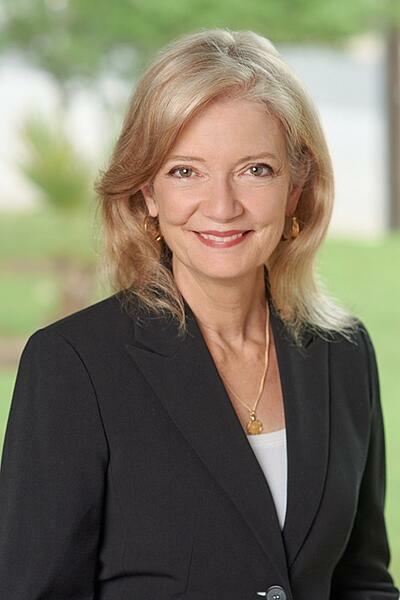 I am pleased that I will remain with AOMA in the role of Resident Scholar and President Emeritus. To this end, I am wishing health, wealth and happiness for every recipient of this note and to those lives which AOMA has had the opportunity to touch. Many acupuncture students begin their journey as patients before becoming fully invested in the academics and practice of oriental medicine. For one reason or another, this functional medicine resonates with the healing process better than others you have tried before and the interest is sparked. At some point the fascination exceeds the mystery and develops into a desire to understand how it works. Like many others before me, I was incredibly curious about this profound method of manipulating qi. When I was having complications with my own health going to doctors became a fearful chore. In the waiting room I would work myself into a clammy sweat anticipating whichever test they would need to run next, but unfortunately, leave feeling the same as the day before and without conclusive results. There were so many follow-ups and referrals to get to a place of homoeostasis it seemed the horizon would never come. The experience with my acupuncturist was a world of difference – the closer I was to the office the better I felt. As soon as it was my turn to be seen I could feel my muscles unlock from the base of my skull to the tips of my toes. I could release my tension onto the floor and finally take a breath. The building my acupuncturist worked in including the treatment rooms were nothing special, but there was something about the energy of the space my practitioner created for me that was more therapeutic than any other place I had known at the time. 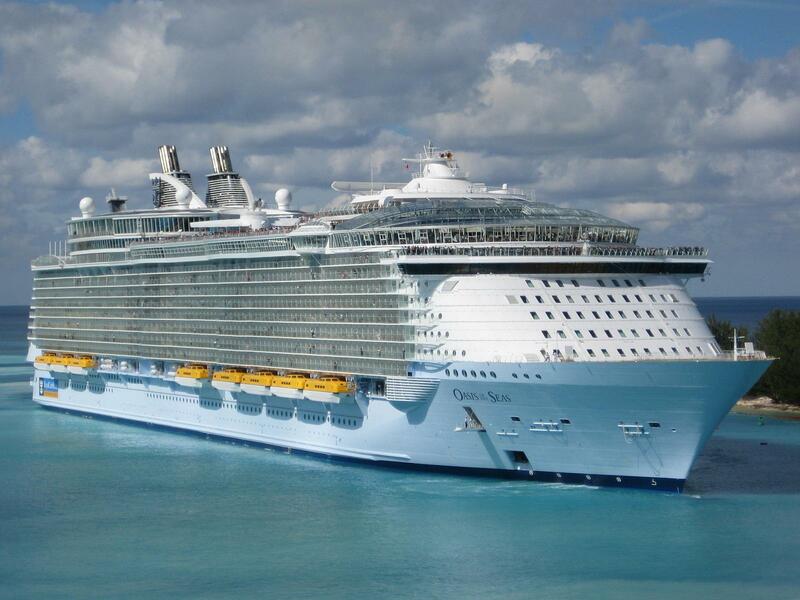 Walking into that space with her made me feel confident I would leave feeling better than I came, which I always did. I admired her. She portrayed freedom with her personal style underneath her lab coat and by the way she was accompanied by her small child at work. I felt her mind was completely focused on me and my healing while I was in her presence. The passion and independence she had as a businesswoman was something I had only fantasized about. Seeing it right in front of me was promising for my dreams. It was about more than the incredible healing I achieved while I was under her care that convinced me I had found my divine decree – the harmonious lifestyle she portrayed is what held a mirror to my future. Now as a young practitioner and student of the medicine at AOMA, I aspire to create the same atmosphere my acupuncturist did for me. When I see patients I always try to meet them from wherever they are coming from. For several of them this is their last resort, a shot in the dark, because they have been in pain for so long. For others, it's an intricate part of a well thought out therapeutic plan. The essence of transitioning from patient to practitioner is that I am now the one who creates the space. Whatever was happening before they stepped into my treatment room has lost all of its power. I open the space to allow my patients to leave whatever misfortunes they have on the floor, jump up on the table, and heal. At the end of each session I watch my patients walk away with a lighter heart as I wash their pain from my hands and, we both leave the day behind us on that floor and go home. The reason why most people choose to go into the field of Integrative Medicine and attend school at AOMA Graduate School of Integrative Medicine may not be what you think. More often, it is not about the money or the title. 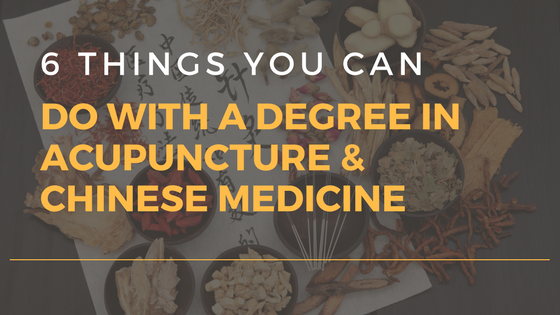 In actuality, people are choosing this field because, as acupuncturists and integrative medicine practitioners, they have a fantastic opportunity to connect with their patients on a deeper level than most medical professionals. Needling is only a very small part of what we learn in school and an even smaller part of an acupuncturist’s practice. Needling is part of the yang portion of our studies- the part of physically doing something, of direct intervention. However, it is my opinion that the yin side of our studies here at AOMA may be the more interesting of the two. The yin nature of a practice – what goes on beyond the needles, is about nurturing; it is about presence and solidness. Yin is the substance with which yang can be utilized. Practitioners of Traditional Chinese Medicine know that one cannot have yang without yin; there has to be a balance of both within the body and within any good medical practice. Therefore, here at AOMA we learn and practice how to bring the yin into our practice. Every Friday morning of the summer term of 2015, Rupesh Chhagan leads his Clinic Communication class in a mind-body practice – a series of qigong movements, followed by a guided meditation. Only after the students have taken the time to check in with their own wellbeing through movement and deep inner connection can class lecture begin. But class lecture in Clinic Communication is anything but a lecture. As a practitioner of Hakomi, a form of mindfulness-centered somatic psychotherapy, Rupesh believes that the body is a gateway of the unconscious mind. The body reflects what is happening internally- emotionally, spiritually, and physically. In Clinic Communication class, Rupesh reminds his students that that their patients have individual feelings, emotions, beliefs, and thoughts, and they are not just a set of symptoms and complaints in the clinic. Instead of being instructed on how to act in the clinic setting, students are asked to actively participate in listening exercises. Instead of formulating their next response and interjecting their ideas immediately, listening students are asked to embody the idea of “the person sitting in front of me is an inspiration to me." They practice feeling what real listening is like, what it looks like. Each of the students in the classroom teams up with another student and they each present the other with a mild problem they are experiencing in their lives while the other student listens. They are not just practicing listening, but they are learning to actually hear what the other student is saying and feeling. In Traditional Chinese Medicine, you learn to “listen with your whole body” and at AOMA you learn to embody loving presence, you learn to see your patients and those you listen to as inspirations for you. If there is one thing to take away from the Clinic Communication course with Rupesh, it is that even when we feel that we have nothing in common with another person, we always share the human experience. Patients are people. We all have our own set of beliefs, emotions, histories, and thoughts but we are all so similar. We are all in search of balance. 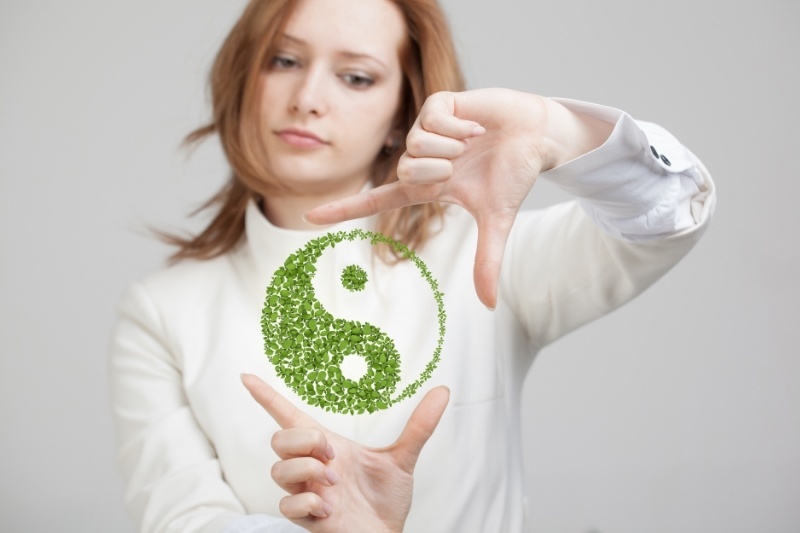 As acupuncturists, it is our job to find our own sense of balance so that we can help our patients find theirs. We practice listening to our patients and in turn, they inspire us. We are not just needling - we are connecting with our fellow human beings, our brothers and sisters as student interns and one day as practitioners. Through empathic listening along with mindfulness in providing treatment, yin and yang are balanced. There is no such thing as a perfect point prescription. Of course, there are certain points and combinations that are clinically effective. But whether you decide to use a certain point or not, guasha versus cupping, e-stim, or moxibustion, depends not only upon how you view your patients’ syndrome pattern (to what you attribute their symptoms) but also modalities that you resonate with the most and have had the most therapeutic success. You see, there is no “right” treatment. The only common factor that should exist from practitioner to practitioner is the patients’ differentiation (and this is sometimes up for debate, too). In TCM School you will learn various modalities from various practitioners and parts of the world. In the end, it is up to you to chose your focus and ultimately create a unique set of tools that fit you and your patients. The art form is a reminder that each patient you see, even if the complaints are identical, will need to be treated as their own unique piece of artwork. No two are the same! Along with the varying forms of acupuncture and TCM modalities, inevitably comes ego. Because there is room for a variation of methods when treating a syndrome, and varying forms of success between patients, it is common to feel confused, defensive, or disgruntled when comparing treatment strategies with other practitioners. 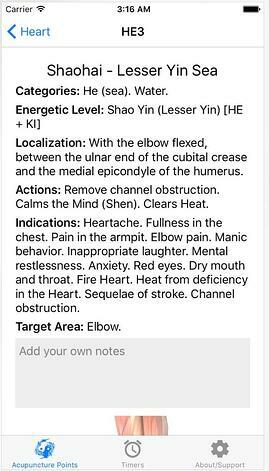 It is fortunate that as TCM practitioners we do not slap a pill on top of a symptom, but rather view the patient holistically and treat the root cause through various methods. However, it is simultaneously unfortunate how the ego can sometimes lead one to find oneself in an uncomfortable conversation or even argument. In the end, it’s about the acupuncture. It’s about the patient, not the practitioner. TCM School teaches you how to be confident with your own mind and toolbox, while simultaneously respecting that of others. A lot of us know that stress can make you sick. But it is one factor that is often overlooked when considering the etiology of diseases such as environmental factors, diet, lifestyle, and genetic risk. In TCM School, you will learn that individual emotions correspond with their respective organs. For example, grief correlates with the lung organ and stress or anger correlates with the liver organ. In TCM theory, when one organ becomes overactive with its respective emotion, it can become more vulnerable to external pathogens, decline in function, and even affect other organs. This also relates to western perspectives. The more stressed we are, the larger amounts of cortisol we release, and this in turn affects other hormone levels (and the brain and immune system) resulting in higher risk of developing diseases like diabetes, hypertension, allergies, and depression. Clinically, biomedicine can often supplement TCM theories wonderfully. More importantly, it allows you to gain an even larger perspective of your patient’s health. In our graduate program at AOMA, about one-third of the courses are biomedicine. You will learn to take vitals, perform physical assessments, read labs, and become familiar with prescription drugs. All of these tools become critical when assessing your patient’s healthcare needs. 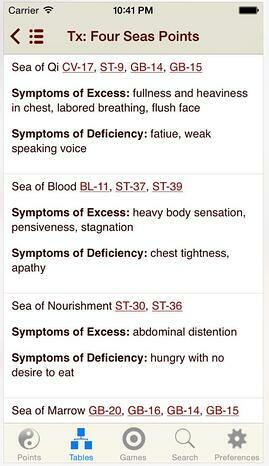 This is what is incredibly useful about western/biomedicine. However, what you will inevitably encounter in clinic are patients who have been neglected by their primary care. In many settings, the conventional and current medical system has evolved into a quantity rather than quality-based model. Therefore, because we have considerably more time with our patients and the aforementioned biomedical education, we can educate our patients about their diagnosis, labs, and prescriptions so they can discuss any questions or modifications with their primary care. It is our role, as holistic healthcare providers, to educate and give patients autonomy so they can take control of their health. We are also trained to spot red-flags that need immediate referral. When you first start as a student at AOMA, it is very exciting. You are making new friends and establishing connections, as well as learning the foundations of Chinese medicine. I only started school about two years ago and have already made large personal transformations, and so have all of my peers. This program immerses you in an environment that challenges and rewards you socially, mentally, and emotionally. Just wait until you start internship in clinic! That is when the real transformations begin. As a student at AOMA, be prepared to dig deep into yourself and find an even deeper meaning of what it means to be you, both as a person and TCM practitioner.